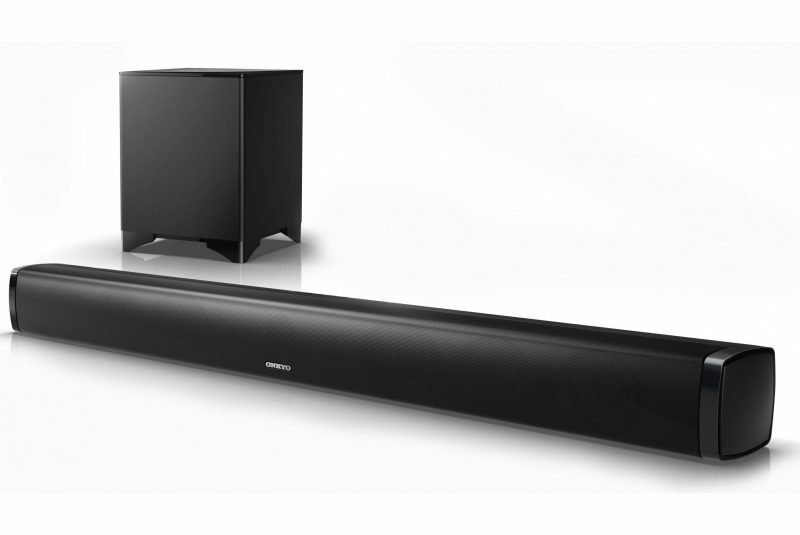 Onkyo LSB50 Soundbar and Subwoofer Wireless Speaker System, AuraSphere digital signal processing works with a six-channel amplifier, powerful wireless subwoofer, and eight-driver speaker array to seamlessly replace TV audio with rich and enveloping 3D sound. There are three sound modes to optimize movies, dialog, or music, and Bluetooth technology for wireless playback of almost any audio source sent from smartphone, tablet, and PC. This soundbar is very easy to install, with just a single cable to connect and a wireless sub you can place almost anywhere. It comes with a wall-mounting kit and an IR flasher for placement on an entertainment unit under your flat-screen display. Best of all, the LS-B50 turns on automatically and responds to volume commands from the TV remote, making it exceptionally easy for people of all ages to enjoy. Pair your cellphone, smartphone, tablet, or PC to the LS-B50 and stream wirelessly via the onboard Bluetooth technology. 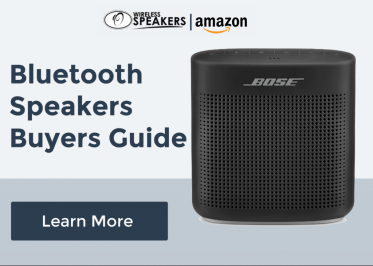 From your smartphone’s music apps (like Spotify, SoundCloud, and other internet radio services) to locally stored libraries, Bluetooth technology streams content quickly and easily, and the LS-B50 reproduces the sound faithfully and powerfully. Your podcast binges will sound amazing! Onboard AuraSphere technology applies custom EQ filters to get the most out of movie and game soundtracks. Deeper bass and an open mid-range carry dialog clearly, all enhanced by AuraSphere’s panoramic 3D soundfield. For music, you want plenty of punchy bass, that doesn’t drown out vocals and strings. AuraSphere manipulates the EQ and sound pressure levels to best suit music playback, while expanding the soundfield so that you enjoy balanced stereo sound no matter where you’re sitting. 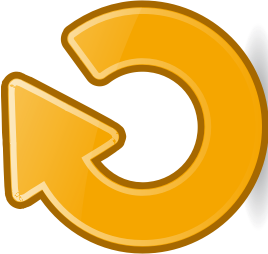 This sound mode makes dialog more intelligible and maintains clean, balanced response for all types of content, including TV programs, movies, and news. With this mode engaged, you won’t have to keep raising the volume to hear what’s going on. The LS-B50 simply makes TV sound clear and rich. The LS-B50’s low-profile design makes it ideal for displaying on an entertainment unit or TV stand. The unit’s flat back panel and shallow depth allow for easy wall mounting as well. The included IR flasher makes controlling the LS-B50 simple no matter where it’s placed. See inside. With amplified power firing downwards through a big 6 1/2″ (16 cm) cone, the included wireless active subwoofer does an excellent job of adding impact to your favorite content, from games to music to movies. The crossover is set to blend perfectly with the soundbar, creating a deep, seamless audio image no matter where you choose to place the cabinet. Dolby Digital is a high quality audio format commonly encoded on DVDs, Blu-ray Discs, and in TV broadcasts. Compatible TVs can pass Dolby Digital audio through to the LS-B50 for richly detailed playback enhanced even further with your choice of AuraSphere sound mode. Audio from your TV (and any media players connected to it) is passed to the LS-B50 via a single coaxial or optical digital audio cable.You can connect other devices (such as smartphones, tablets, and MP3 players) via a 1/8″ (3.5 mm) analog audio input. A USB port will play MP3 files stored on USB-compatible smartphones and flash memory drives, and you can use the system remote to select albums, playlist, & tracks. The LS-B50 comes preprogrammed with IR codes for nine major TV brands (and learning capability for others), which means it switches on automatically with your television and responds to your TV remote volume commands. For everyday use, the LS-B50 is set-and-forget, seamlessly replacing flat-screen sound with immersive TV audio. Mention the brand name Apple and what registers in your mind are the words ‘quality’ and ‘performance.’ They’re the best recognized for their series of iPhones and iPads. There may be horn stand sound amplifiers for iPhones available but what we’ll explore more in this article are the horn stand sound amplifiers for iPads by Bone Collection. Being one of the many iPad owners around the world, I know the agony of having to settle with its insufficient volume for sharing music. The big screen makes it ideal for watching movies with your friends, but it makes the movie inaudible because of its speakers. 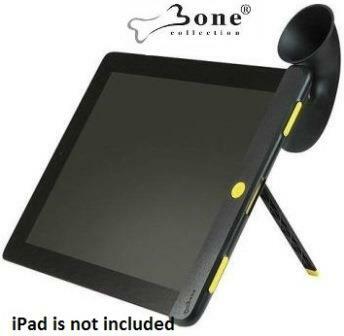 What you’ll need is the Bone Collection iPad horn stand sound amplifier. Amplify your iPad audio without wires! 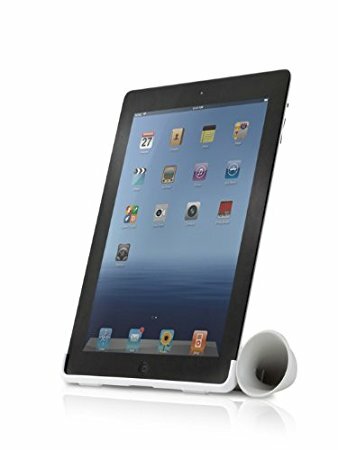 This wireless speaker stand sound amplifier multi-functions as a stand for your iPad as well as a sound amplifier. The Bone Collection iPad horn stand sound amplifier multi-functions as a stand for your iPad as well as a sound amplifier. With the concept of a bugle, this sound amplifier has a horn-like shape. It can perfectly fit your iPad either in a vertical or horizontal position because of the flexible TPU (thermoplastic polyurethane) internal material. It’s resilient to scratches because of the TPR material. The PC material helps it survive from heat and impacts. Its outer silicone material makes it easy to clean. All you get from this horn stand is a convenient way to let it stay still while you’re watching a movie and amplifying your audio so you can share it. It can enhance your audio experience up to 15dB! The best thing about using this iPad horn stand sound amplifier is you won’t need to charge it! It doesn’t power from a power supply. You’re free from worrying not being able to use it in the following hours since its life is immortal. No need for wires as well! No USB cables or 3.5mm audio cable hanging around. Use this environmental-friendly sound amplifier to amplify your music, movies, games and alarm clock! 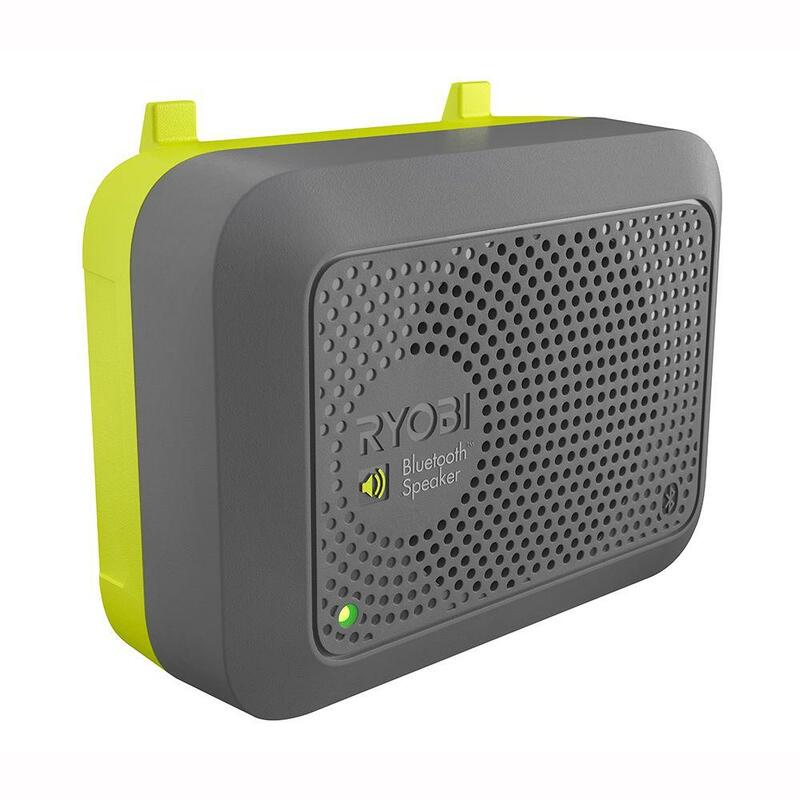 You can conveniently bring it anywhere since it has no wires and lightweight. Take it to camping, beach or wherever you want to go. Aside from its overall experience, it’ll cost you less than $50. I’ve been using my iPad for quite some time and settled with its volume. If not for a friend, I wouldn’t know that this product exists! I can bring it anywhere. I can use it as a stand and an amplifier all at once. I can share my movies and music without the extra effort of setting up wires and controls.